While the summer is a quiet time for basketball, the NBA draft clock never quite stops ticking. With that in mind, The Crossover's Front Office evaluate players who helped or hurt their stock this offseason. While summer is a bit of a dead time for basketball fans, the draft clock ticks year-round. As the 2018–19 college season and 2019 draft loom on the horizon, The Crossover’s Front Office checks in on some notable prospects who helped themselves in the off-season, as well as some with more work to do. 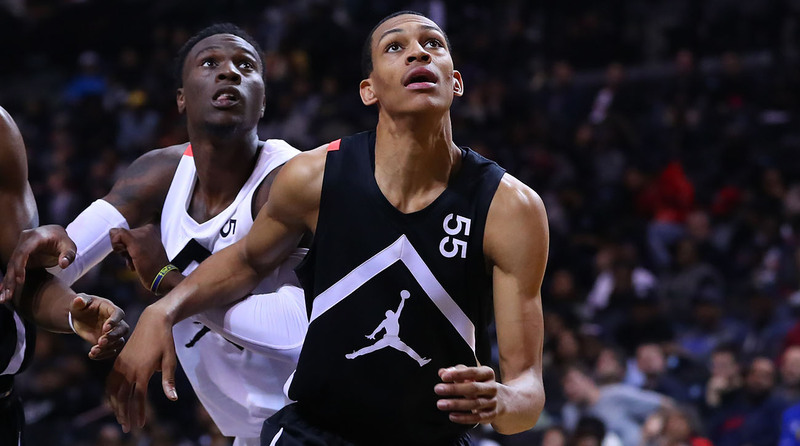 Paschall has been a hot name in league circles following a series of strong performances at the Nike Skills Academy in August. As the primary returning piece from Villanova’s championship rotation, the 6’8”, 255-pound forward is positioned to assume a much larger role after averaging 10.6 points per game on 7.1 attempts last season. While Paschall lacks ideal height for a four-man, his physicality, aggressiveness and improved three-point shooting have begun to win over scouts who value intangibles, in keeping with Villanova’s track record in recent drafts. He’s a strong team defender and athletic enough to offer some versatility on that end. It’s too early to call him a lock for the first round (plus he turns 22 in November), but at this point he’s certainly in the picture. It will be intriguing to see how Paschall’s role changes given all the shots left to go around, what type of offensive touches work best for him as a featured player, and if he can maintain passable shooting splits with more volume. Paschall shot 53% from the floor and 35.6% from outside last season, but as a freshman at Fordham in 2014–15 he posted respective splits of 41.9% and 31.5%, posting 15.9 points on 13.3 shots per game. His overall maturation would suggest his performance tracks closer to last season, but it’s possible there’s some regression if his attempts take a drastic uptick. With the way things are tracking at present, Paschall has a chance to be one of the first seniors drafted in June. Safe to say, there’s skepticism around the league surrounding Bazley’s recent series of career choices. There was some reason to be optimistic after he initially forewent his scholarship at Syracuse to play in the G League. News came out in August that Bazley would again pivot to train on his own going into the 2019 draft instead, and sit out a year of competitive basketball. Privately, some of the buzz about his future plans had begun to circle even before an underwhelming showing against college competition at Nike Skills. While taking a yearlong sabbatical appears to have worked out fine at this stage for Knicks second-rounder Mitchell Robinson, Bazley’s situation is much murkier. The truth of the matter is that scouts have had a hard time getting excited about Bazley dating back to the All-Star circuit—there is simply not a lot about his game to sink your teeth into right now beyond his length and defensive effort. While Robinson had off-court issues to work out, few who had seen him play in person questioned his talent or athletic bonafides. Though it’s to be expected, Bazley is unpolished, still slender physically, and has no consistent manner of generating half-court offense at this point. 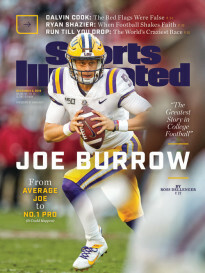 Put frankly, this is a kid who needs to be playing basketball for the next nine months, and indicators suggest he should be viewed as a second-round flier at the moment. We already spent significant space discussing Johnson within the context of Kentucky’s four games in the Bahamas, and he will be a topic of conversation going forward, but it’s a good time to underscore the likelihood he ends up as a lottery pick. His intensity and joy for the game augment a solid two-way skill set on the wing that will make him a hot commodity. The last six months have affirmed his status, and a strong freshman season could see him end up as a Top 10 pick. There’s a lot of early-draft territory up for grabs right now. While his talent is substantial and his long-term outlook divisive, Bol took an important step this summer by simply showing up and playing at Nike Skills. His reputation for indolence at major events certainly hasn’t helped him in the eyes of NBA scouts, and participating in all three days as other players sat out offered an extended look at him. He’s added some weight and by most accounts played well at the camp. 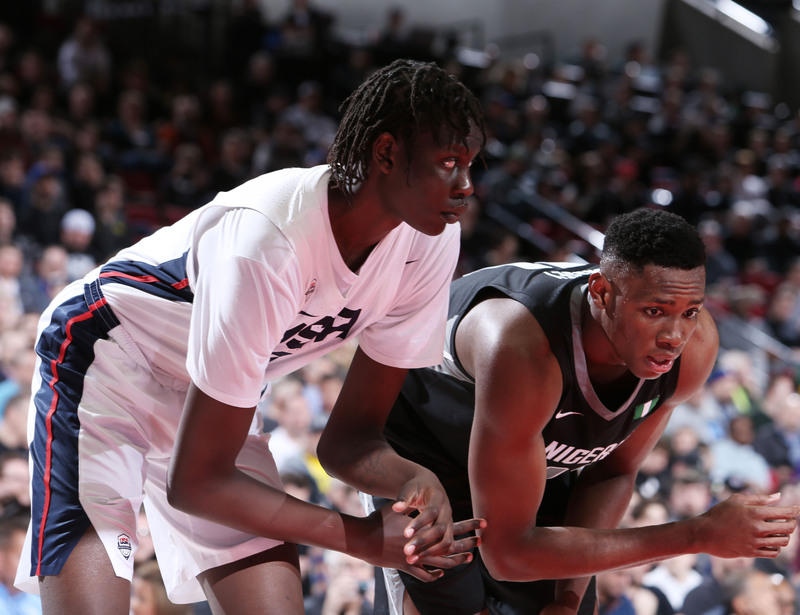 Bol has one of the more unique games you’ll see from a viewing standpoint—his length and fluidity enable some freaky things around the rim—but how he holds up over the course of his freshman season and whether bad habits start to emerge will have a bearing on where he’s selected. He’ll be under the microscope, perhaps unfairly, but there’s a scenario where his rim protection is a consistent positive and his offensive game gets to a workable place against stronger opponents. Another standout at Nike Skills, Thybulle is among the more intriguing, sneaky seniors in the country, at least for now. At 6’6” with a 7’0” wingspan and displaying good instincts and agility, his defensive potential is through the roof. The Huskies weren’t very good last season and feature a 2–3 zone, which always makes for a tougher evaluation, but Washington will have everyone back (including intriguing sophomore guard Jaylen Nowell) and Thybulle has a chance to capitalize. Zone or no zone, last year’s averages of 1.4 blocks and 3.0 steals per game are eye-popping. His offensive game has to expand, but he’s never shot below 36% from three. He’s squarely in the draft picture and will have a chance at the first round, particularly if his scoring takes another step forward. It’s becoming clear that 2019 probably won’t be a great point guard draft. 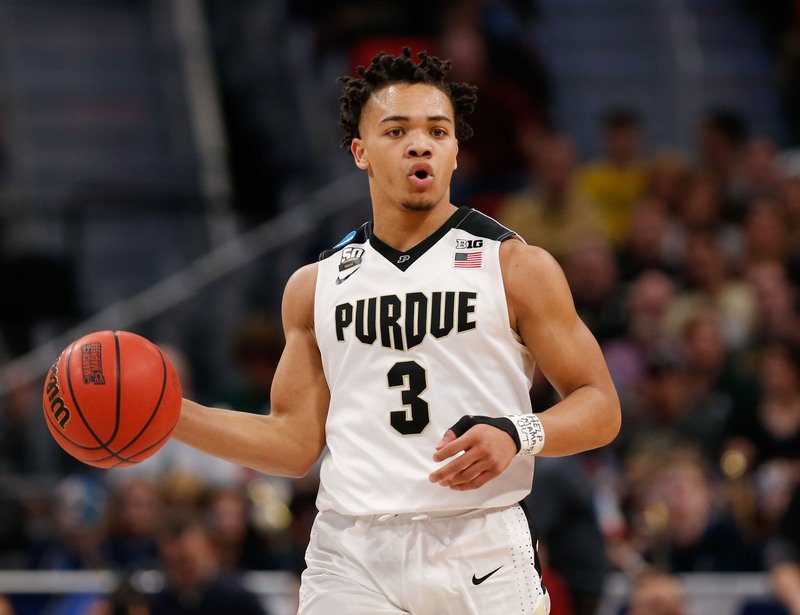 Edwards will certainly be one of the better ball-handlers in college hoops as a junior, but he hasn’t helped himself a ton in the eyes of scouts in the off-season. He wasn’t at his best at the draft combine and didn’t help himself at the CP3 guard camp or Nike Skills, either—his lack of size hurts him defensively, and many have come to view him as more of an undersized two-guard than a point. Edwards has plenty of time to remedy things, but has yet to fully seize his opportunity. You’ll be hearing a lot more about Morant, who piggybacked off a strong freshman year with a good showing at CP3 camp, where he was the youngest college player in attendance, and has put himself on the map as a prospect for next year’s draft. Is This Kyle Lowry's Last Stand in Toronto? The 6’3” guard averaged an impressive 12.7 points, 6.5 rebounds and 6.3 assists last year and was an immediate-impact player for the Racers despite being completely unheralded out of high school in South Carolina. His jumper is shaky right now, but the production, athleticism and age curve are all working in his favor. The apparent lack of guard depth in this draft will help a lot. Like Edwards, Wigginton is another two-guard in a point guard’s body, and while he gained some traction in NBA workouts before pulling out of the draft, he wasn’t great at Nike Skills and is going to need to make major strides as a sophomore to warrant legitimate first-round consideration. He turns 21 in March, making him effectively a junior, and in totaling more turnovers than assists last season, has quite a bit of growth to do to convince people he’s a point guard. Wigginton is a capable shooter and scorer and should be able to improve on his 16.7 points per game, but next season will be more about how efficiently he can do it, and how much better he makes his teammates. Undersized guards who can score aren’t particularly hard to find, and Wigginton needs to distinguish himself a bit more at this point.